Love eating Apples but don’t like peeling Apples? 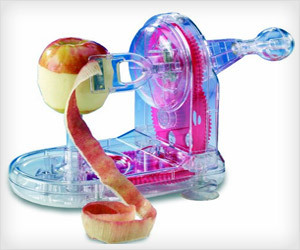 Pro Apple Peeler can peel apples quickly without any mess. It neatly peels off the Apple skin and not the fruit – so no wastage.